All made to order! Please allow 3-5 days to finish after receiving payment! 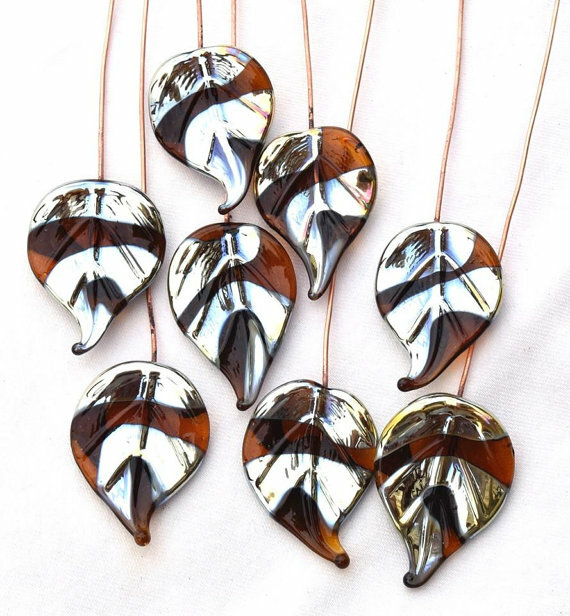 Made of Murano glass and metallic silver glass, made on 24 gauge copper wire for earrings, dangles or pendants. 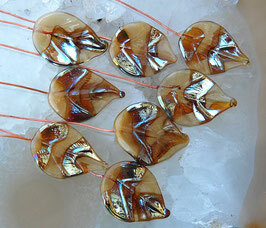 Very long wire, so you have enough space for your design. Set of 8 leaves made to order! Size Leaves: approx. 16.5mm to 20mm - can slightly vary, as handmade! 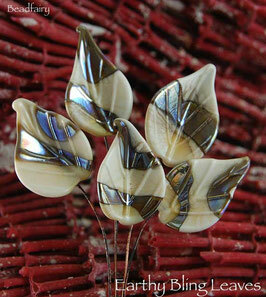 The headpins (inclucding the wire) are annealed in the kiln. 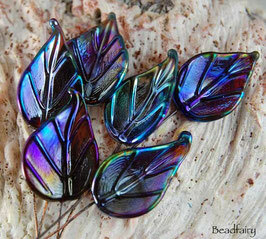 Very beautiful oil slick colored leaves glass headpins for jewelry making. 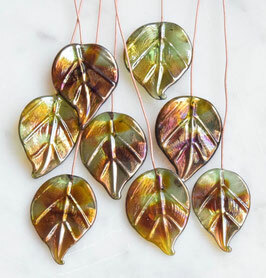 The leaves are made of different metallic colors, depending on the light and the viewing angle. 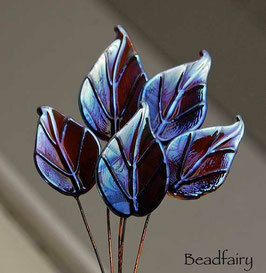 Made on copper wire 24 gauge. Perfect for making earrings or dangles. Very beautiful organic beige with metallic gold glass leaves headpins for jewelry making. Made on copper wire 24 gauge. 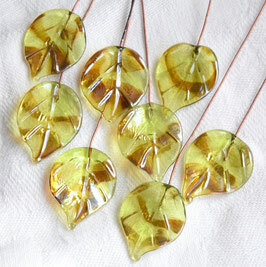 Perfect for making earrings or dangles. Made of Murano glass and metallic silver glass, made on 0.6mm /less 22 gauge copper wire for earrings, dangles or pendants. 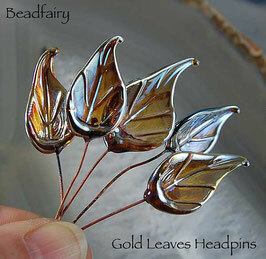 Very beautiful gold leaves glass headpins for jewelry making. The leaves are made of metallic golden-silvery looking Double Helix silver glass. Add a little bling to your jewelry! 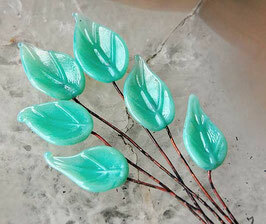 Very beautiful mint green leaves glass headpins for jewelry making. 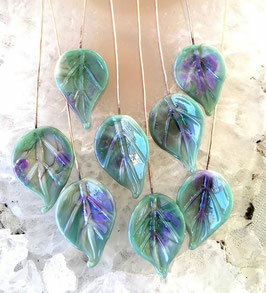 Set of 6 leaves made to order! 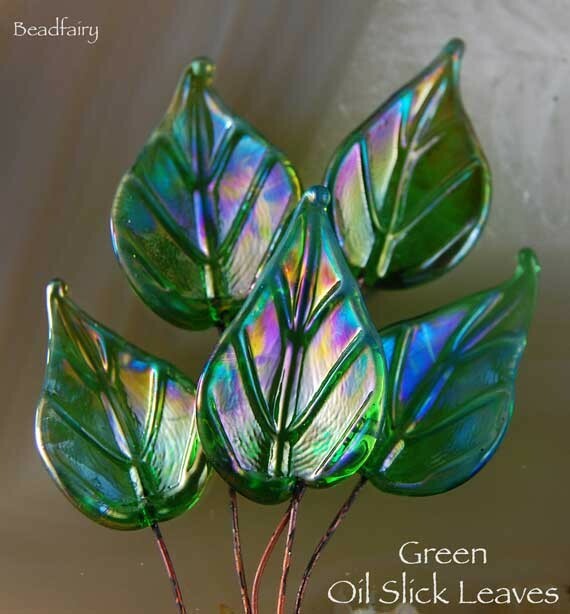 Very beautiful green oil slick colored leaves glass headpins for jewelry making. 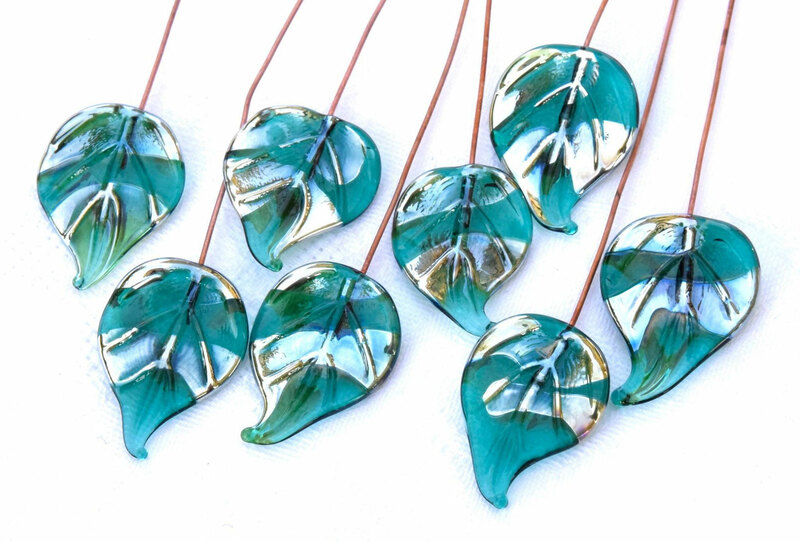 The leaves have a metallic shine and hues of blue, depending on the light and the viewing angle. Set of 6 Green Oil Slick leaves made to order! 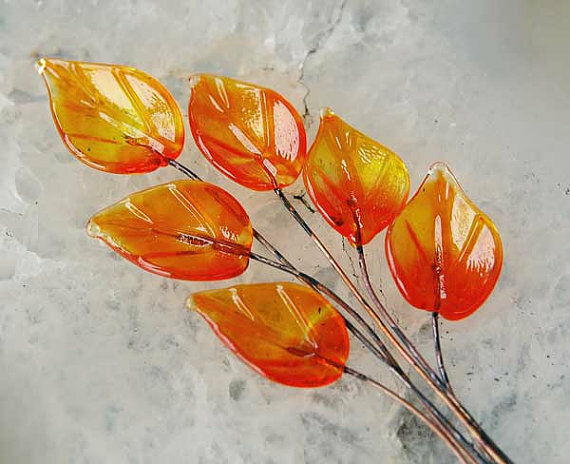 Very beautiful leaves glass headpins for jewelry making. The leaves are made of pure silver glass for a beautiful golden-brown shimmer, depending on the light and the viewing angle. 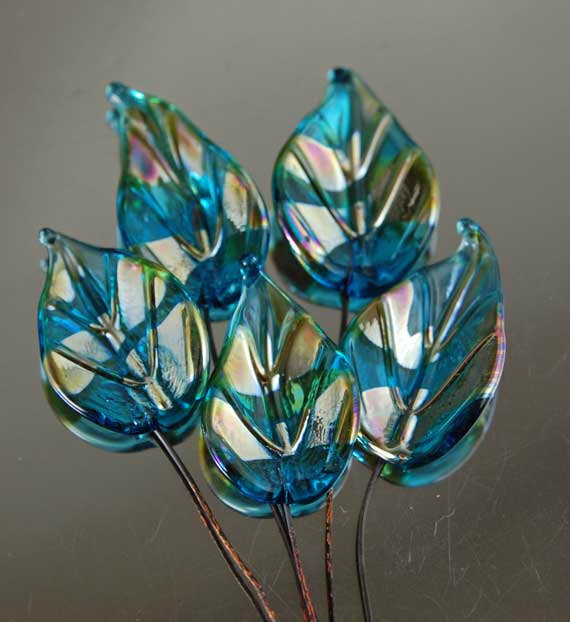 This set of headpins is made to order! 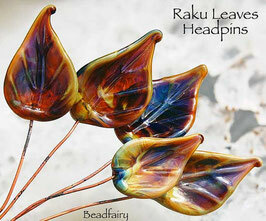 Very beautiful earthy Raku leaves glass headpins for jewelry making. 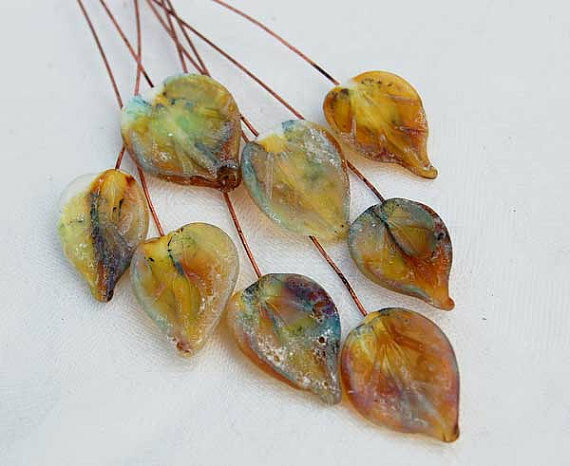 The leaves are made of Iris Orange (Raku) Reichenbach glass. These leaves are made to order! 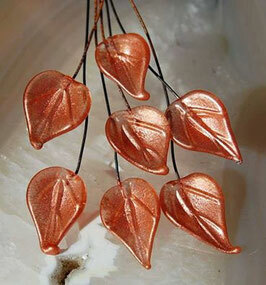 Beautiful set of 6 Earthy Bling Leaves (not 5) headpins in ivory and metallic gold. 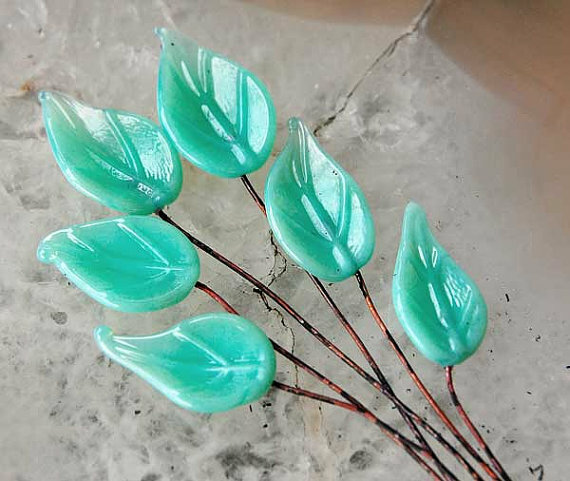 Very beautiful seafoam glass leaves headpins for jewelry making. Very beautiful pink and earthy leaves glass headpins for jewelry making. 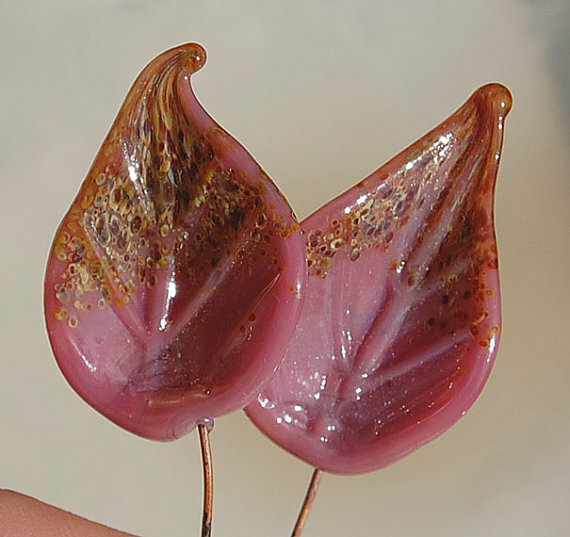 The leaves are made of Raspberry Pink glass with bit of Raku. 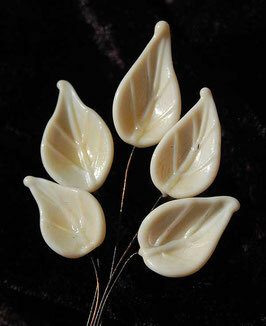 Beautiful set of 6 light ivory leaves headpins. 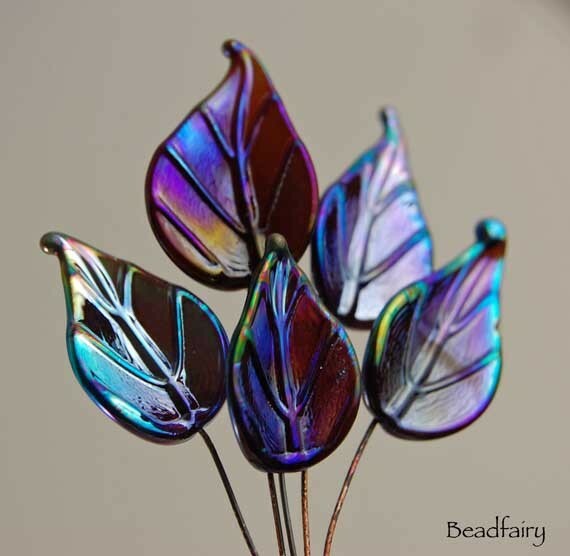 Set of 6 leaves headpins is made to order! Very beautiful transparente orange leaves glass headpins for jewelry making. Very beautiful dazzling blue leaves glass headpins for jewelry making. 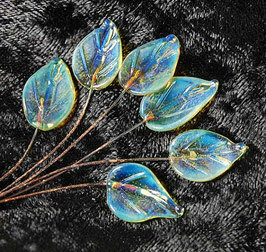 Very beautiful leaves glass headpins for jewelry making. 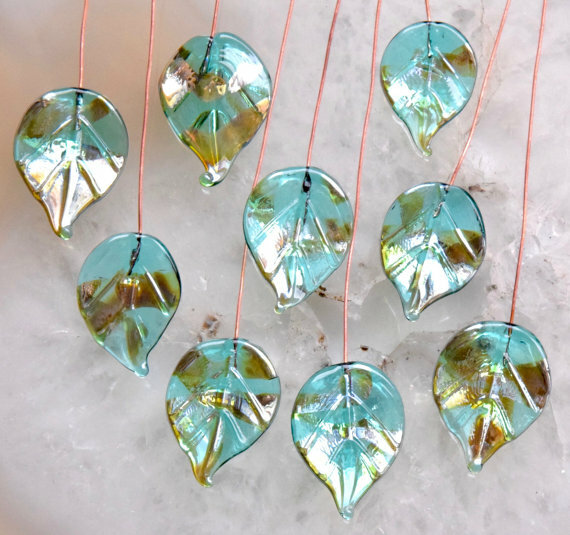 The leaves are made of pure silver glass for a beautiful shimmer, depending on the light and the viewing angle. 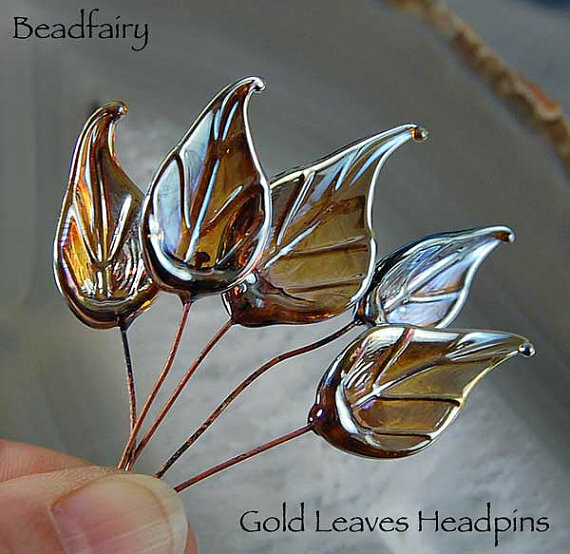 Beautiful set of organic leaves headpins. These are looking special! Made of three different glasses plus a technique what achieve the rustic look. Set of 8 leaves headpins is made to order! Please note: Your leaves will be similar to the pics. 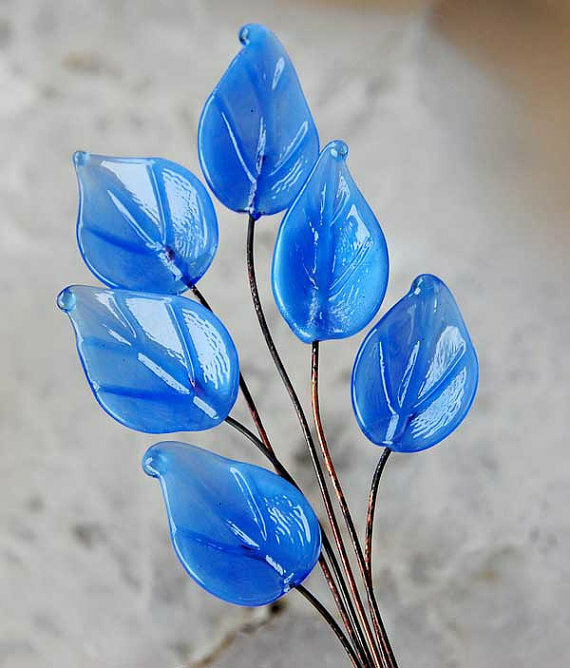 This is not a flaw as each glass leaf is unique! 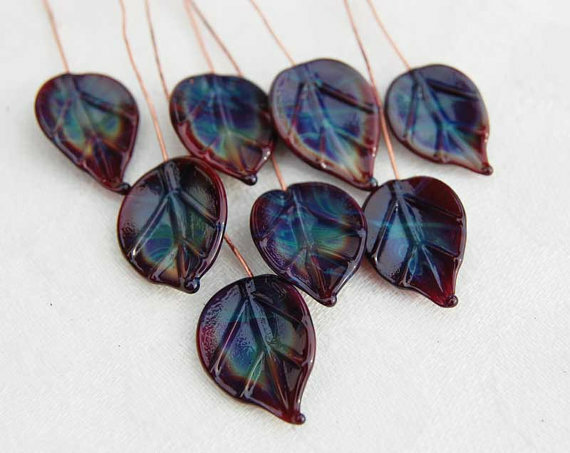 Very beautiful Ekho leaves glass headpins for jewelry making. 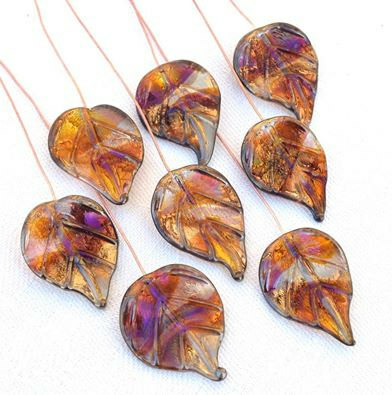 The leaves are made of metallic berry-brown-silvery looking Double Helix silver glass. 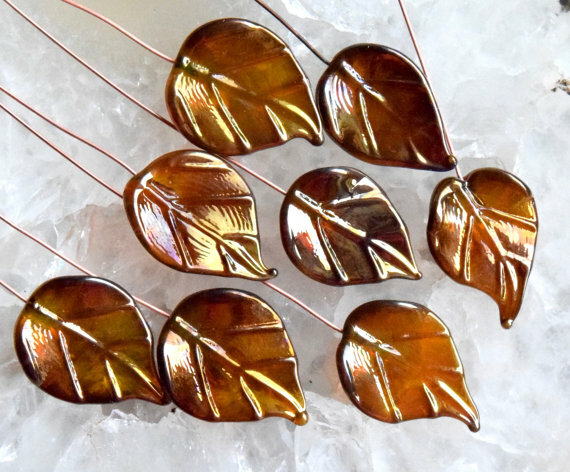 Set of 6 Ekho leaves made to order! This set contains 8 headpins instead of 7 shown in the pic! 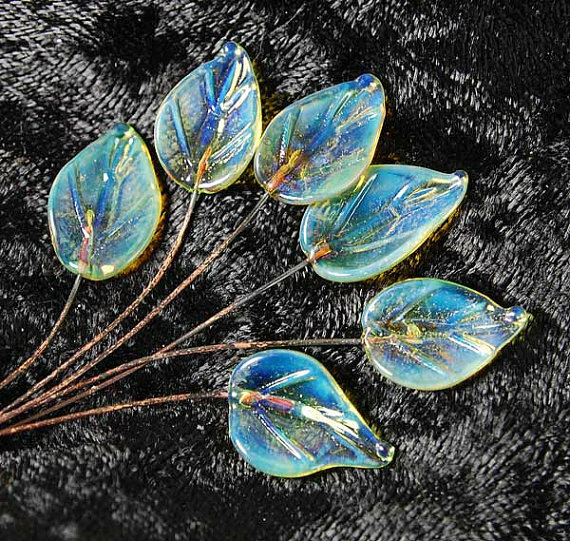 Very beautiful silver glass leaves headpins for jewelry making. 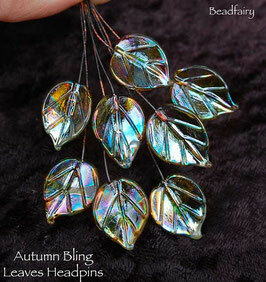 These leaves do have an awsome bling, depending on the light, background and viewing angle. Very beautiful moonstone silver glass headpins for jewelry making. The leaves have a blue green color on dark background and more yellowish with some shine on light background. The headpins (including the wire) are annealed in the kiln. Very beautiful aqua blue leaves with Aurae silver glass headpins for jewelry making. 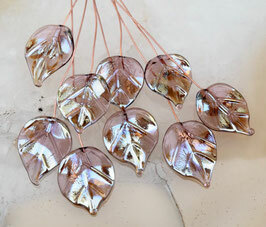 The leaves have a metallic silvery golden shine and sometimes hues of pink.